I was travelling in a teetering wooden canoe along Rio Conambo in the middle of Ecuador’s South-East Amazon. We had just arrived in Ripano, a small hilltop community. 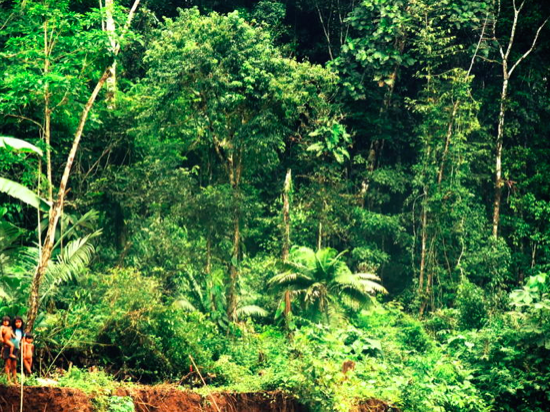 The jungle was so thick I could barely see the sky; fog settled into the treetops, rain began to sprinkle down, the humidity seeped into my bones, and I felt so extraordinarily small against the backdrop of a timeless rainforest. I was collaborating on a project that looked at how climate change was impacting and being interpreted by several Amazonian communities. Each day had a theme, and today was the day for climate prediction. One of the community members asked me: “So what do you do to interpret the environment around you?” I stared back blank faced, and tried to have a good think, wondering if my time had come to ruin any chance at a wise reputation. I responded, “I usually just triple check the Weather Network, or call the local environment station.” Quiet chuckles quickly turned into bent-over laughter as the communities started to realize that I was quite useless at forecasting and prediction without the help of some fancy-schmancy technical experts. 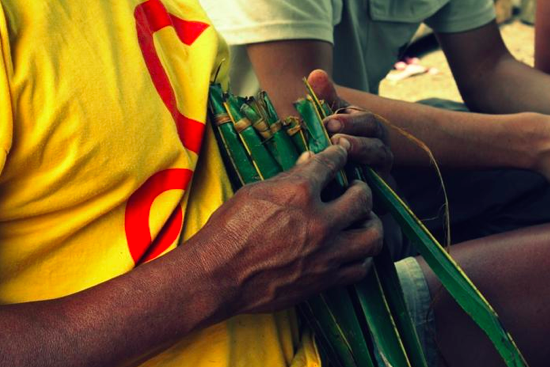 The communities began to recount so many diverse ways of understanding their own climate. They said that for years and centuries, as they learned from their ancestors, they had been predicting rainfall and sunshine by observing their environment. The presence of certain mushrooms, ants, rainbows, nighttime temperatures and wind speeds had to be observed, just like their dreams. Their dreams served as a magnifying glass into the natural world. They told me all kinds of stories: dreams of chicha (a typical fermented yucca drink) meant rainfall; dreams of ants, or lighting something ablaze meant sunshine; dreams of insects sucking blood meant successful hunting awaited; and dreams of snakes meant danger in the farmlands. These anecdotes are part of a little something, or rather a big something, called traditional ecological knowledge or TEK, which refers to holistic, multi-generational ways of knowing. These include oral histories, songs, spirituality, and even dreams, that for centuries have provided communities with an insight rooted in a specific place and in the constant observation of the surrounding environment. TEK has become more popular in recent years, as a distinct way of imagining and interpreting the world around us. It has also emerged as a way of thinking about the environment that is complementary to scientific climate discourse. Rather than speaking about our climate in a detached scientific way, TEK gives a local voice to the story. Given the extensive obstacles of inaction that have been associated with a purely scientific approach to climate change, namely the divorce between climate science, climate policy and societal action, there is critical value associated with the incorporation of alternative knowledge systems in climate discourse. Of course, knowledge is numbers, percentages and statistics, but knowledge is also experience, stories, interpretation, and ideology. There are many places where the technologies of real-time meteorological stations, early-warning systems and climate scenarios cannot reach, or represent scales so large that all they do is paint a hazy picture. 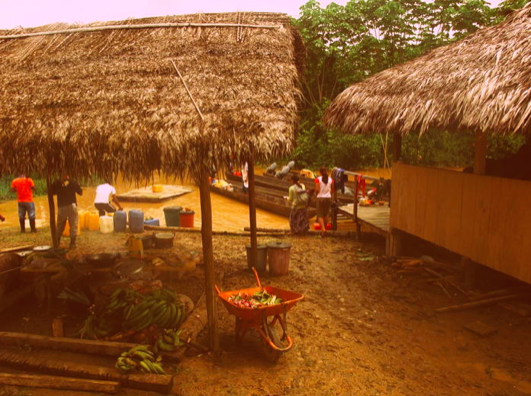 What the stories of these Amazonian communities illustrate, is a shift in perspective within climate discourse. First of all it re-inserts indigenous, local voices into a domain which has been crowded by western science. It also adds the nuances that come along with a place-based knowledge of climate. These experiences demonstrate that no, climate change and variability is not just some obscure concept that only climate scientists are busy scribbling away about, but rather, it has real lived implications of communities who possess an infinite understanding of the land on which they put their feet, rivers from which they fish, wildlife on which they depend, and the diverse ecosystems and climates on which they thrive. These communities are not only excellent storytellers of climate vulnerability, but also key voices in creating ideas for climate adaptation. Maybe that personal touch, the stories of people who live on the land that we are all breathing, dreaming and fighting to protect, is the next big push we all need. 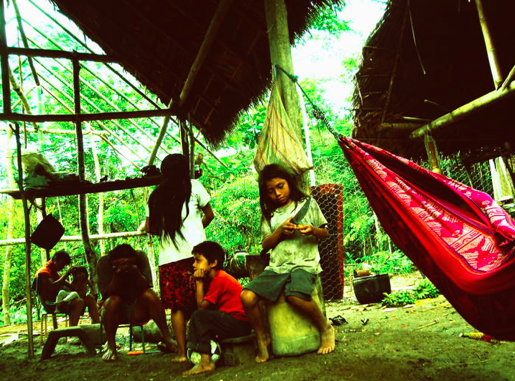 Posted in Stories from the FieldTagged Amazon, climate, climate change, Ecuador, local knowledge, rainforest, stories, TEK, traditional ecological knowledge, traditional knowledgeBookmark the permalink.